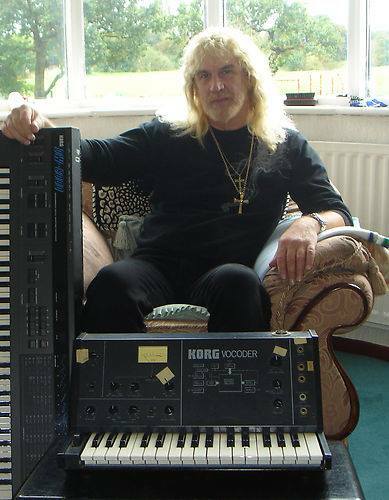 Former Black Sabbath keyboardist Geoff Nicholls died Saturday at the age of 68 after a lengthy battle with lung cancer. Nicholls joined the Sabbath lineup as a touring member in 1979, appearing on 1980’s “Heaven And Hell” – alongside new vocalist Ronnie James Dio – and the group’s following nine albums before being replaced in 2004 by Ozzy Osbourne’s keyboardist, Adam Wakeman. Until his death, Nicholls performed with former Sabbath singer Tony Martin's Headless Cross. Nicholls was an original member of Birmingham, UK outfit Quartz from 1974-79; Iommi produced the group’s self-titled 1977 debut. “Everyone in the band, and associated with the band, are struggling to find the words to express their feelings and sadness regarding the passing of their dear friend Geoff Nicholls earlier this morning at home,” wrote Quartz. “Geoff had been unwell for a long time battling cancer and had under gone extensive radio and chemotherapy plus other trial treatment but all sadly to no avail in the end.